River Town Mall situated on 1.4 acres with 15,880 sq. ft. & 10 ground floor suites & five apartments. 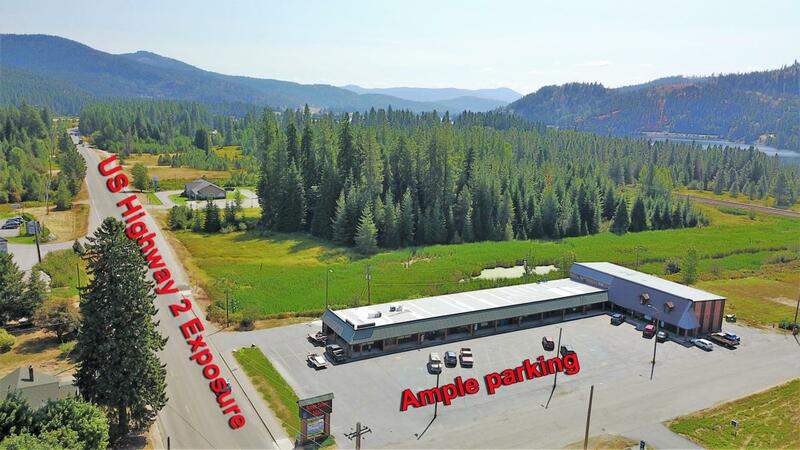 Opportunity to purchase an INCOME-PRODUCING COMMERCIAL PROPERTY in the heart of downtown Priest River with Excellent US Highway 2 exposure, visibility & location. Prime multi tenant office building plus residential apartments make this an opportunity not to be missed! Ample asphalt (1 acres) parking for tenants & their customers. The Mall is favorably located one block from the post office, & situated between two prominent banks. On the property is a large monument sign showing most mall tenants. Offered at a better than 7.3% CAP RATE, long term tenants & well maintained Buildings. The building has undergone multiple updates and remodels and continues to be well maintained.